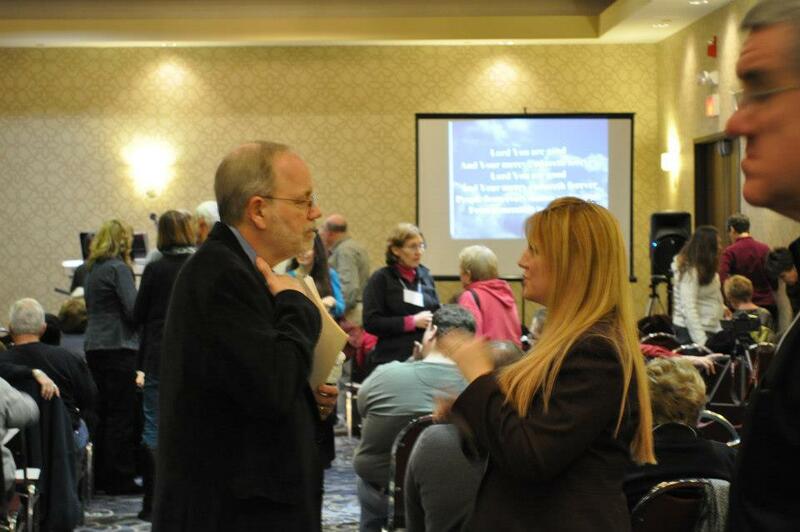 This past weekend I attended the “Unbound Leadership Conference” put on by Heart of The Father Ministries. I was able to meet Neal Lozano, who has written a number of books helping people to find real freedom in Christ by utilizing this very simple and duplicable model of deliverance. The word deliverance can scare some people but I like what Neal say’s about it. To say that deliverance is about the devil is like saying that the Exodus story in Genesis is about Pharaoh. 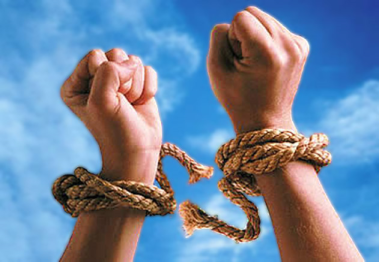 Deliverance is about Christ setting the captives free. It is about the power of Jesus Christ that is given to us in baptism, renewed and refreshed through repentance and reconciliation and empowered by the gifts of the Holy Spirit released in confirmation. However, some of us have not been renewed and refreshed. Some of us have not been reconciled and have not asked for the Holy Spirit to release the gifts of confirmation. When we are not free to love and be loved then we are not making the invisible visible through our lives and our example. We are to be the body of Christ, yet some of us are still bound up from the lies we believe, the vows we have made, the judgments of others and when this effects our identities we are cut off from the very life giving source that we must draw upon. So how do we listen to the Holy Spirit? How do we find freedom? How do we refresh, reconcile and release the Holy Spirit in us and through us? The first thing we have to do is pray to the Holy Spirit. COME HOLY SPIRIT COME! It can begin with simplest of prayers, really it can. Before going through the 5 Keys of Unbound, we need to call upon the Holy Spirit and we need to learn to listen to what the Holy Spirit desires to do in our hearts. 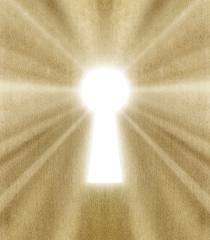 If you rush into the 5 keys without the Holy Spirit, the 5 keys can become like the keys you have in your junk drawers at home. You know they open something, but you don’t know what. Here is how you begin. Call upon the Holy Spirit. Pray for Him to release the gifts within and through you. I would like to show how those that use the examination of conscience taught in the book “33 Days to Morning Glory” can really benefit by incorporation the 5 keys taught in the Unbound model. Fr. Michael Gaitley’s “B.A.K.E.R. examination of conscience, when utilizing the 5 keys of Unbound, can be truly effective because you can then hear what the Holy Spirit desire for you to know. Rather than just using introspection or merely “thinking” about your shortcomings or sinful patterns or behaviors. We begin by looking at the places in which we have seen the blessings in our lives. We begin with going to the truth and seeing who the Father is and how He has blessed us. This is our “consolations”. Our identities may have been beaten up by the broken people of the world sinning out of their own wounds and this can cause us to have difficulty with knowing who we truly are. Some of us self-justify, or have shame or feelings of unworthiness, we misinterpret God’s intentions or circumstances in our lives and others just do not believe God desires to share intimate secrets with their hearts alone. Whatever the struggles, we must begin with looking to our consolations and blessings and rest in the truth that God is good and that He loves us as we are, right now, today, faults and all. Now we call once again upon the Holy Spirit and ask for the Holy Spirit to enlighten our minds as to what God desires for us to know about where there are barriers to Him, or where we are in need of repentance. This is the first Key of the Unbound Model. When we ask the Holy Spirit He can reveal the root issue instead of the surface things that continue to plague us. For instance, if we have anger issues, raging when things feel out of control or when someone “attacks” us or our worth, we could think our issue is anger. This is how clever the Father of lies is. Anger and rage is a distress symptom of a deeper issue. The Holy Spirit knows the gentlest way to guide you to truth and freedom and He desires to woo His bride gently, He does not desire to kick in your doors or expose you in shame. When we ask Him to lead us to the root, we then can have our hearts moved by His tender Mercy to true repentance. He can show us that the anger is a reaction to a lie in our heart, an inner vow we have made that locks His healing truth out or perhaps of a judgment we have made about other people or even about God Himself. Anger is a symptom of an idolatry of control. Control is an idol we use to protect ourselves or manage our fears due to powerless wounds or perhaps even fear bonds formed that cause us to believe that God does not save, or He does but will not save us. When walked through the repentance key, it is so comforting to hear the words of the Prayer team acknowledging and affirming your fear and your deeper desire while at the same time, asking God to forgive you for your judgments, your lack of faith. “In the name of Jesus Christ, I ask your forgiveness for not believing I could trust you.” “Forgive me Jesus for using control as an idol instead of coming to you.” This “Asking” is a beautiful way to know what God desires to start with. If we merely think about our shortcomings, our failures and our limitations to love, we will soon despair. When we look at our sin without the Mercy of Jesus Christ and can easily be convinced by the father of lies that we are not forgiven, our sin is too big or perhaps our God will not save us. If we do not ask the Holy Spirit to lead us in this, those that do repent may do it out of shame, fear of judgment or to be “good” rather than to find healing and reconciliation. This will not set the captives free, but causes the lies to dig themselves in deeper. If the root wound is powerlessness and fear, then we find other ways to “control” so as to not open to God. Anger is symptom of an idolatry of control as a means to self-protect so you see repentance must come from the heart. It is handing the reigns over to Christ, both of them. If we continue to hold onto one of the reigns, we cannot go in the direction God desires to take us in. When we ask the Holy Spirit to reveal where we need to forgive we become aware of places we are bound up that we may never have even realized we were not yet set free! He knows all and everything. He knows where pain has caused us to not yet forgiven someone. He knows where we still believe someone does not deserve our forgiveness. He knows where we still desire someone to make atonement for what they did to us. He knows where we are so afraid of dealing with our emotions or anger that we have made unforgiveness and our anger a means to protect our hearts. He sees past false humility to the pride that tries to justify our unforgiveness, He knows where we still do not understand the depths of His ocean of Mercy and He even knows which evil spirits are binding us up of our own free will. The Holy Spirit will gently reveal where we need to forgive, He will lead us there and He will help to set us free. Forgiveness is not about giving up your rights or even excusing what someone has done to you. It is about allowing God to work it all out to His better good and glory and relinquishing it’s power over you by trusting in the Father. When an intercessor gives you the words, just hearing them said to you out loud is a validation that what was done to you requires forgiveness. When you repeat them, you can feel the healing salve being administered to your heart. It is freeing in that very moment. What killed or desolated you today? When did your heart drop in your chest from what was done to you or what you had done to someone else? We are not to make major decisions in times of desolation because the father of lies is so good at manipulating our emotions that we are not free to see rightly. When we ask the Holy Spirit to show us the daily desolations, we see where we the wounds of others were at work and it may not have been our cross to carry. We also see the places the enemy is stirring up our emotions to cause us to believe his lies, to make more judgments or vows that separate us from God and in doing so cause us forget that our Father in Heaven knew what He was getting when He made us, we are no surprise to God, yet He so desired us that He willed us into existence despite how He knew we would fail Him. This leads me to the third key. “In the Name of Jesus Christ, I renounce the spirit of control. In the name of Jesus Christ, I renounce the Spirit of Anger and unforgiveness”. When we renounce, we break any agreements we have made with the liar and turn our faces back to the Father. We are breaking the ties that bind us. I also believe the renewal of our baptismal vows is a powerful way to renounce the enemy and his lies. It is renouncing Satan, his pomps and works and empty promises. Many of us have had relationships outside of covenant marriage or have been involved with the occult. There are tarot cards, Ouiji boards, wearing crystals and more. These things must be renounced. “In the name of Jesus Christ I renounce any physical or spiritual ties with NAME and I take back what I gave to HIM/Her.” Every day we should be going through B.A.K.E.R. with the 5 Keys of Unbound. 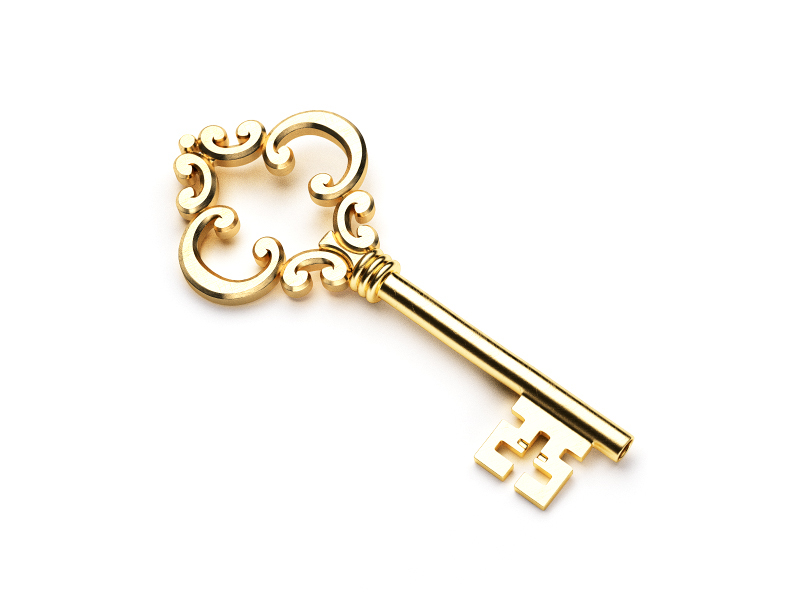 When we get to the 3rd key, we need to renounce anything that the Holy Spirit has inspired for us to renounce. This is about being set free and Jesus Christ has that authority and power. We, by virtue of our baptism can call upon this power of Jesus Christ and command what we renounce in His name as well as any of the powers and principalities infesting or oppressing us to leave! We need to stand in the authority that we as Christians have been given. Christ said that we would do “all these things and even greater things than this” and He meant it. Greater works? Yes!!! We will be set free so that we can bring Christ to others so that they too can find healing and freedom! This coincides with the final key of Unbound. When we embrace the love of the Father we embrace the greatness of God’s love, the gifts He desires to share with the world through our yes, we embrace the Fathers Blessing. Did you know that your name is very important? For all of the years I have traveled and spoke around the country I have noticed that peoples names strangely revealed how God was using them as instruments of His divine will. I began experimenting and by telling people (before they told me) what it was that I thought they were doing in ministry. Not only would I be right but when I was wrong it was not because I was wrong at all but it was because it was on their hearts to do but they had not answered that stirring in their heart. All throughout the bible we are shown that names matter so much that even Paul was renamed to ensure his name matched his calling. Isaac was so named because his mother laughed. All of us have names that were inspired in our parents because of the movements of the Holy Spirit because our name was written on God’s heart before it ever was uttered on our parents lips. At the moment He names us our name lit up the heavens and flashed like a comet through the stars and throughout the entire universe heralding our goodness as unique and unrepeatable persons with dignity, honor and great worth beyond price. I challenge you to look up your name. If you cannot find your name to mean something that reveals your call then email me because I guarantee I can. What is your confirmation name? I have been told we do not pick our confirmation Saint, the Saint picks us. The Holy Spirit attracts us to that Saint because they will help protect the mission in which we have been chosen to fulfill. The Fathers blessing is something that all of us must embrace because it heals the wounds it fills the empty and formless void so that we can see what was always there but never realized, we have been chosen, we have been called by name. The final examen peace is to reconcile. This is another word for being set free! When our hearts are freed to love we desire to reconcile, to bring healing and freedom to others. When we realize we reacted in a way to self-justify and in doing so hurt someone we love, our first inclination upon healing is to run to them like the prodigal son and say please, please forgive me! I desire to make amends and to restore what was broken between us. 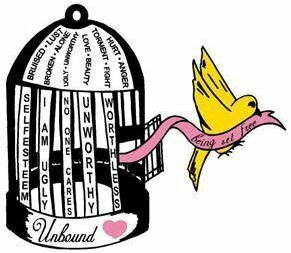 If you have not heard of Unbound I challenge you to discover what has continued to bring me great freedom and healing. If you have not consecrated yourself to Mary I would prayerfully suggest you read my article on why she is the one that helps us to receive our triple portion of the Holy Spirit. If you desire for the Holy Spirit to permeate you, transform you and make you a new creature in Christ, then Mary is the perfect mold from which to pour ourselves into because she formed the body of Christ in her womb. We are going to set the world ablaze with Fire of Christ’s love! Come and Join me as there are many, many captives that need to be set free. Will you join me? 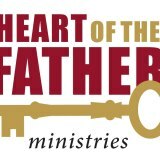 What is Heart of the Father Ministries? It say’s this on their website. “Heart of the Father Ministries empowers people to reclaim their true identity in Christ as sons and daughters of the Father through Unbound:Freedom in Christ ministry. 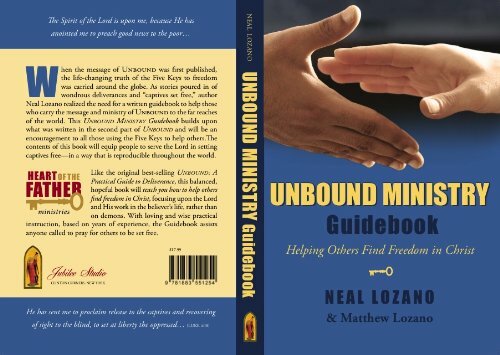 Heart of the Father is dedicated to equipping people throughout the world to take hold of the freedom they have been given in Christ and to help others do the same by using the principles of the Five Keys as found in Unbound.